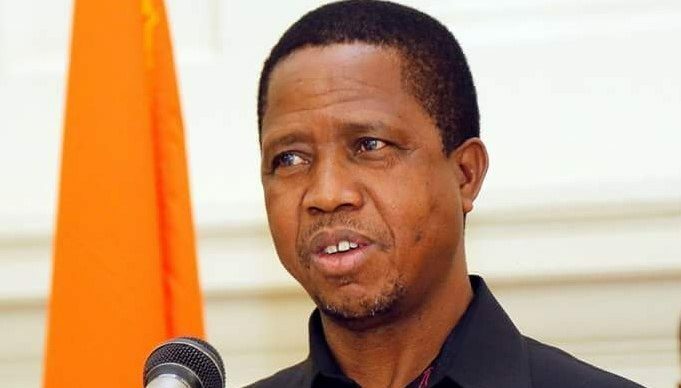 President Edger Lungu has made several changes in the police service and replaced the four officers fired at Sesheke Police Station. And opposition Socialist Party member Graster Mundi said the quick reaction by the Police Service Commission in retiring police officers following a complaint by the PF was not only shocking but embarrassing. According to a memo dated 17th February 2019 signed by director administration, C. Chambwa on behalf of Inspector General of Police Kakoma Kanganja, the changes also replace four officers who were fired last week at Sesheke Police Station. Chambwa said the police commission acting in the name and on behalf of the President had with immediate effect directed the transfers and recommended acting appointments of some officers. He said Robert Ngosa superintendent, deputy Officer Commanding, Chipata district, Eastern division would act as senior Superintendent with a view to promotion and transferred to Western Division and appointed Officer Commanding, Sesheke district taking over from Shapa Wakung’uma who was retired in national interest together with three other officers. “Mushita Chilekwa assistant Superintendent, Officer-In-Charge Nyimba police station, Eastern division is made to act in rank as Superintendent with a view to promotion and transferred to Chipata district and appointed deputy Officer Commanding in place of No. 2463 Robert Ngosa,” stated Chambwa. He said Sichivu Sikaya assistant Superintendent of Kamfinsa would act as Superintendent with a view to promotion and transferred to Western division and appointed deputy Officer Commanding, Sesheke district. “Wellington Mwansa acting assistant superintendent of Lusaka division is transferred to Western division and appointed Officer-In-Charge, Sesheke police station,” he said. And Chambwa said woman Chief Inspector Ruth Chibenga, Officer-In-Charge Sinda, Eastern division would act as assistant Superintendent with a view to promotion and transferred to Nyimba police station, Eastern division and appointed Officer-In-Charge in place of Chilekwa. And speaking to newsdayzambia.com Mundi said it was shocking because the country still had cases of police involvement in questionable deaths of citizens as far back as 2016, where a young girl – Mapenzi was shot, which matter seem to be dying a natural death. He said the recent case of Vespers at UNZA instigated by the police through the discharge of teargas that suffocated her to death was still fresh in the minds of the citizens without any apology rendered to the family of Vespers from the police up to date. “What then is it that is so special about the Sesheke incidence? They are telling us that these retirements are in national interest, which national interest? Since when did Davies Mwila’s interest become national interest? We kindly ask the police commission and the IG in particular to rescind the decision and re intestate the affected officers,” he said. Mundi wondered how the police were expected to treat cadres armed with machetes and other offensive weapons.